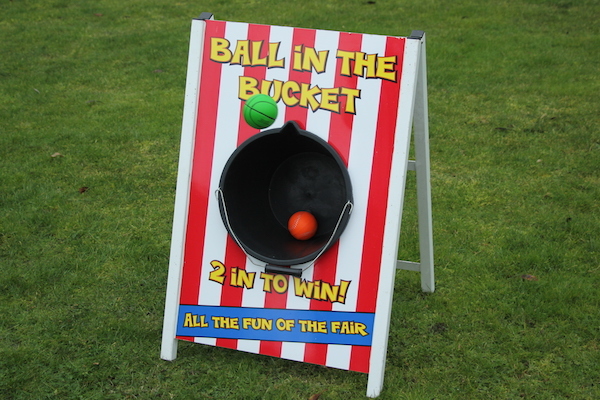 Ball In The Bucket sounds like one of the easiest fairground games, but this game takes real skill. 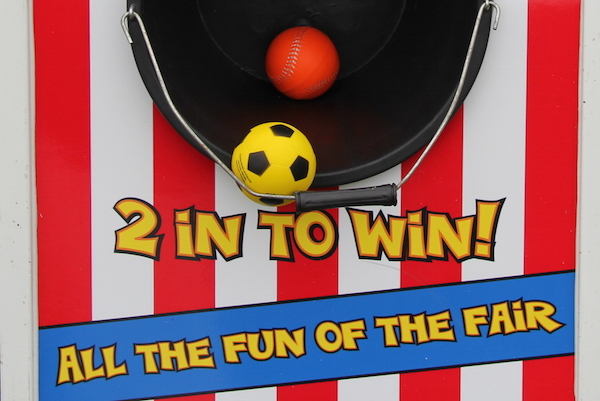 You have 3 attempts to throw a ball into the bucket and for it to stay in and win a prize. 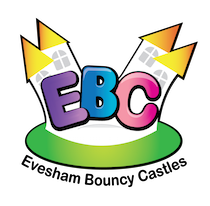 Prizes are not normally supplied by BBC inflatables when hiring this game however they can be purchased from us at an extra cost. This great traditional side stall game is enjoyed by both children and adults. It is an ideal hire choice at any fete, fun day or fund raising event. 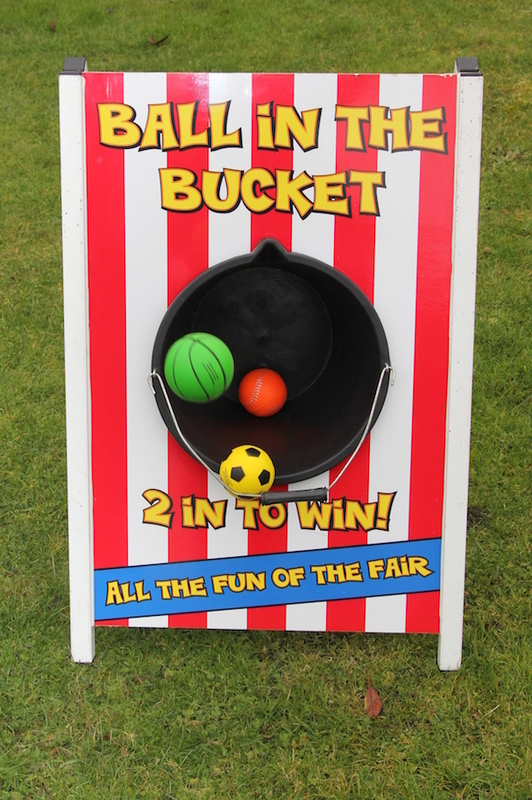 Ball In The Bucket is one of may side stall attractions that we have available for hire including Fairground Darts, Feed The Clown, Crossbow Shootout, Ring The Bull, Cactus Lasso and Splat The Rat. We would always recommend hiring a number of our side stall games especially if you are expecting a large number of visitors at your event. Ball In The Bucket is available to hire in Worcestershire, Herefordshire, Gloucestershire, Warwickshire, Birmingham and all areas of the Midlands when hired in conjunction with other games and inflatables. For other areas in the UK and Wales, please contact the office.